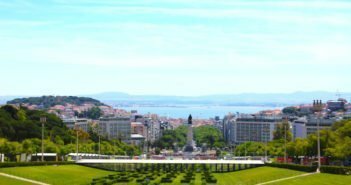 The metro network, or underground, is a great way to travel to most places in Lisbon, and to explore some of its best attractions. 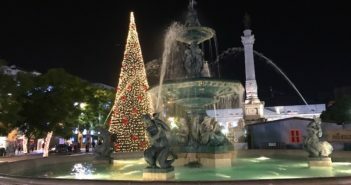 It’s also the cheapest way to travel from and to Lisbon Airport. 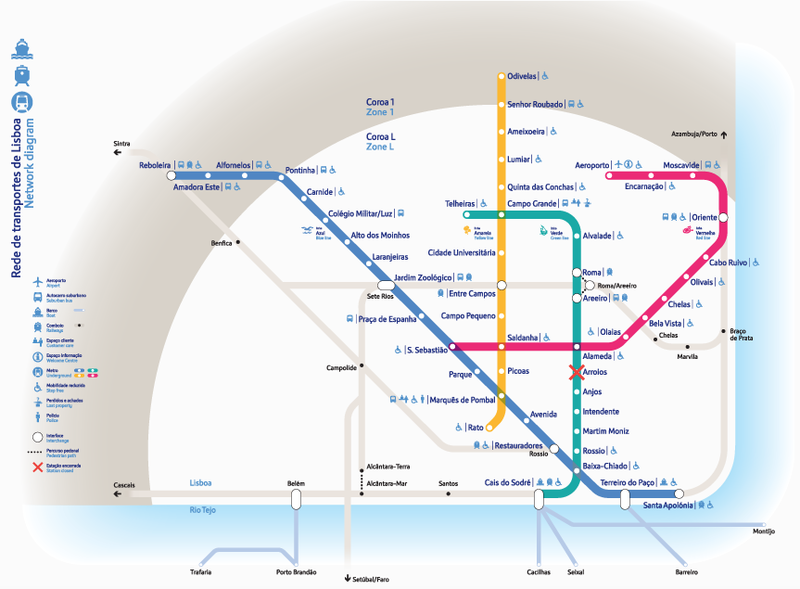 There are four subway lines, each identified by a different colour: green (Telheiras – Cais do Sodré), blue (Reboleira – Santa Apolónia), yellow (Odivelas – Rato), and red (Aeroporto – São Sebastião). 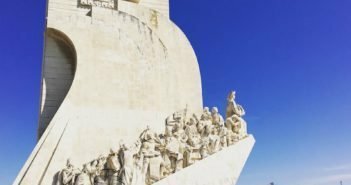 What are the Lisbon Metro prices? Buy a Viva Viagem card and chose the ticket that meets your needs. 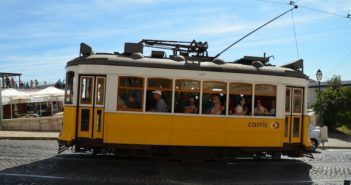 If you plan on visiting a lot of museums and attractions, why not get a sightseeing Lisboa Card which includes unlimited use of Lisbon’s public transport? 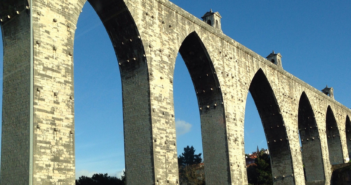 If you’re unsure, read this guide: Viva Viagem or Lisboa Card, Which Card to Buy? 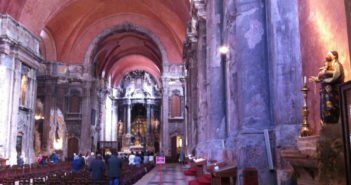 Is there a Lisbon Metro map? 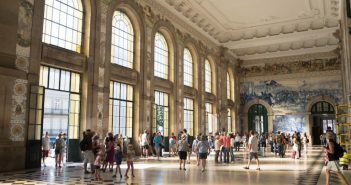 What are the Lisbon Metro opening and closing times? Metro trains generally run every 3-12 minutes between 6.30am and 1am every day, with reduced frequency at night and on weekends and holidays. In some stations, secondary accesses close at 9.30pm, but the main entrance is never far away, just look for it.